The pro-government (although essentially neoconservative and occasionally libertarian) Mandiner blog published an opinion piece, noting that Viktor Orbán’s infamous statements in Tusnádfürdő/Băile Tușnad represent nothing new in how the prime minister views East vs. West, certainly nothing novel in his nationalist and irredentist rhetoric or in his serial vilification of liberals, leftists and the “1968 generation.” I should note that this concept of there being a coherent and identifiable ’68 generation is piffle, but Mr. Orbán has rather effectively constructed an image of hoards of left-wing, radical, green, crypto-communist baby-boomers who want nothing more than to sound the death knell of “the nation,” in exchange for some internationalist dream. No such feverish conspiracy exists, of course. Not even among pro-European integrationists. 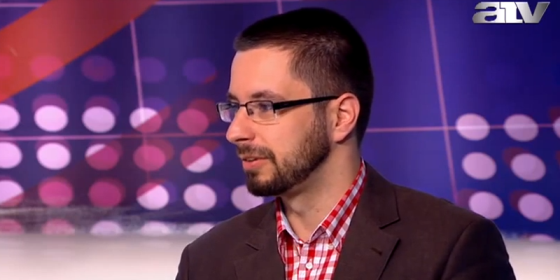 Gellért Rajcsányi, a blogger with the pro-Fidesz Mandiner site, takes the government’s eastward gaze to task. Mr. Orbán is in his element whenever he is able to create an amorphous, faceless villain, with whom he can wage verbal wars before a grateful audience of die-hard Fidesz supporters. The “sixty-eighters” represent just one such group. Mandiner’s co-editor, Gellért Rajcsányi writes that Mr. Orbán seems to know precisely how to rub his opponents the wrong way and quotes a colleague of his, who compared Mr. Orbán’s fascistic speech in Tusnádfürdő to someone who walks down a street and runs a cane down every wrought iron fence, irritating everyone within hearing range. While it is no secret that Mandiner has close ties to Fidesz (and a number of its contributors were/are civil servants), the blog has been critical of Mr. Orbán’s “Neue ostpolitik.” (I use this term loosely here.) Mr. Rajcsányi writes disparagingly of the right’s almost esoteric fascination with “the orient.” He refers to the rapid spread of a “Byzantine mentality” on the right. The blogger takes particular aim at the Hungarian right’s recent admiration of Vladimir Putin’s Russia and notes that in Tudnádfürdő, Mr. Orbán has strangely lumped together several countries that have vastly different political and economic structures. “China represents a wild capitalist economy, built upon the foundation of communist single party rule. Singapore is a special case: an almost utopian, high-tech, authoritarian turbo-capitalist city-state. (…) And Russia is a country that star-gazes on top of the ruins of an old empire, but struggles with signs of internal societal crisis and economic inequities. It no longer has a military that can take on the world and it is only a major player in terms of its role in the energy sector. Russia is not the champion of the future, but rather a regional power that is trying to solidify its current status,” writes Mr. Rajcsányi. 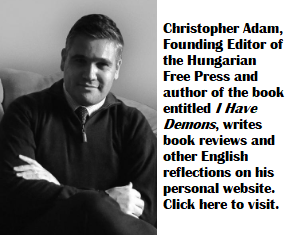 The author concludes that none of the countries referenced in Tusnádfürdő represent a model that Hungary could adopt or follow. In closing, Mr. Rajcsányi refers to the recent restoration of the Esterházy palace in the western Hungarian town of Pápa as a case in point. While the Soviet army damaged and destroyed much of the palace following 1945, it is Brussels (and the much-maligned Norwegian Fund) that provided hundreds of millions of forints in funds to resurrect the grandiose residence. This is certainly food for thought, in terms of whether Hungary should look eastward or westward. Excellent article. One thought occurred to me. The ’68 Generation is an imaginary enemy picked by the Stadionbuilder viktor and/or his gang, but I don’t think they would like to see and pick on a real opposition and a real enemy, which still does not exist within Hungary today, but this condition will not last for very long. All dictators collect enemies, those who had been pushed aside or fled the political scene, those who were not destroyed. All dictatorships are built on a false foundation and it can only hold a limited weight for a limited time. If dictatorships were successful models of modern industrial societies, there would be many more of them. As it is, they collapse in relatively short time. Relative, because 25-60 years are short in historical time, but long compared to human life. Nobody should give up hope, the victor’s time will come, when he gets the red card in the second half of the game he is playing in now. It is, indeed, an imaginary enemy. I recall one analyst (his name eludes me at the moment), noting that the prime minister can only fight faceless, imaginary enemies….essentially the boogeyman. Because when the enemy has a name and face, even some of his own wavering supporters might realize that the enemy is not all that bad. “Some of the Mandiner bloggers have principles similar to those of Fidesz, but there is no doubt that they are not associated to Fidesz and their opinion be it the same as the one Fidesz shares, is a result of their own balancing. Reading Mandiner one can often understand how “they” think and why “they” arrive to that particular opinion and one need not be afraid of reading party propaganda. Lenin, Stalin, Hitler, Szálasi, Kún Béla, Szamuely Tibor, Rákosi, Ho Chi Minh, Pol Pot, Mao, the little Stadionos viktor, etc., etc. and their close associates also came up with their ideas, independently by reading a portion of literature and various party’s propaganda. That does not make it right. They spread these ideas and some became successful, forming political parties with large number of followers, turning the society upside down and killing tens of millions of people.